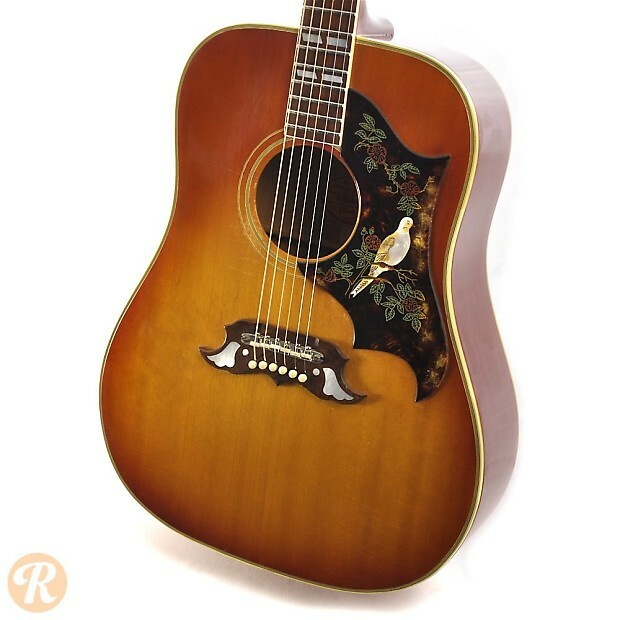 The Dove was introduced in 1962 as Gibson's second square-shoulder dreadnought after the Hummingbird. 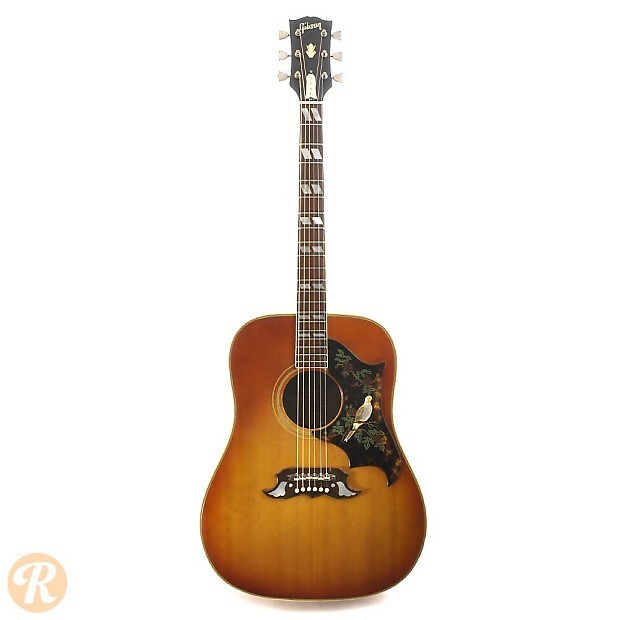 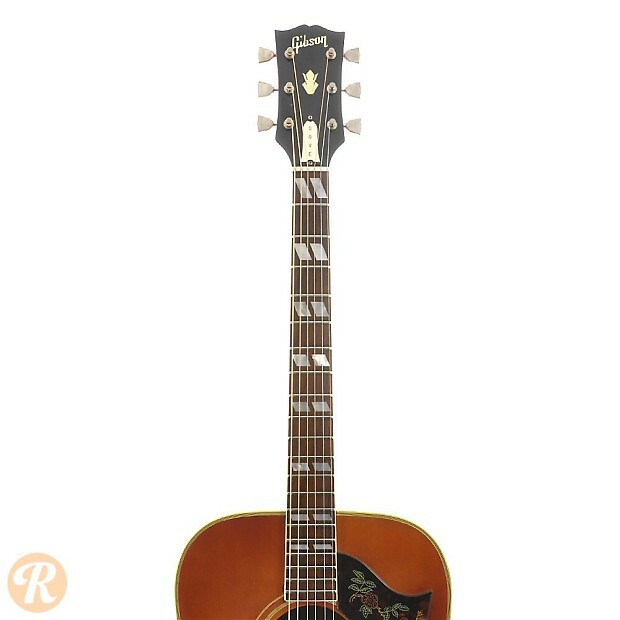 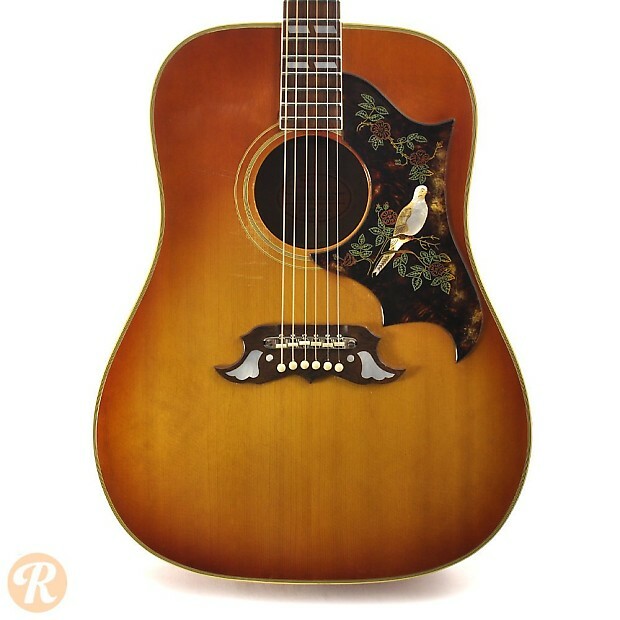 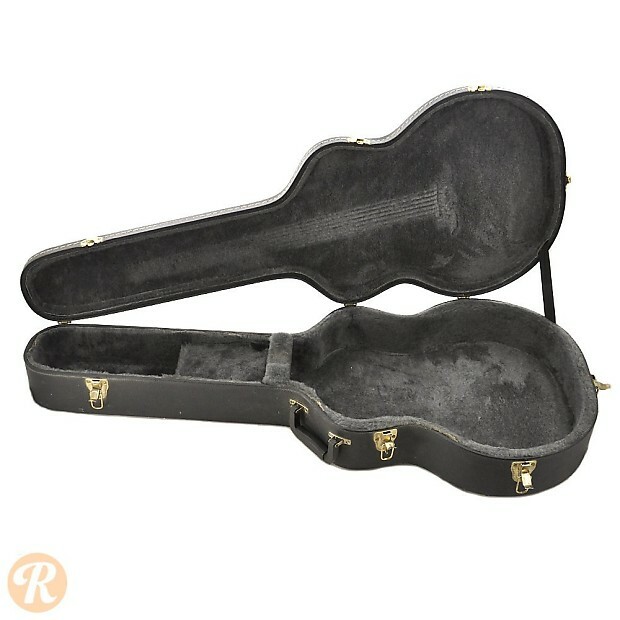 Like the Hummingbird, the Dove's set of unique visual details has made it one of Gibson's more iconic acoustic guitars. 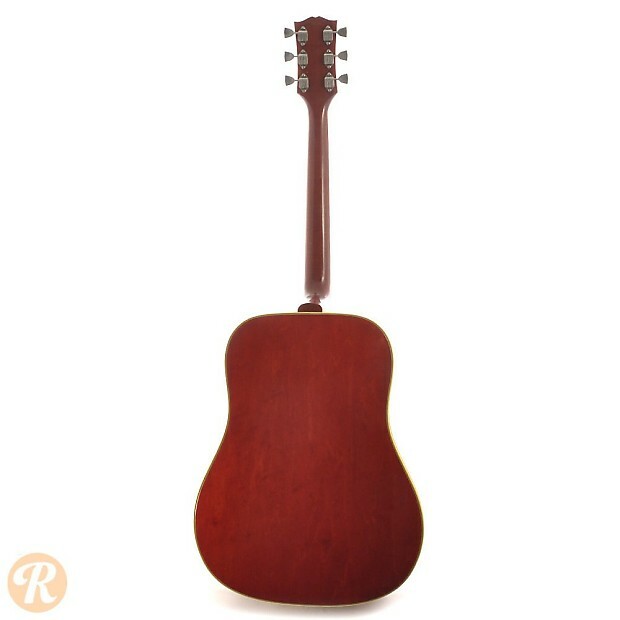 The two models are set apart by the Dove's longer scale length as well as its use of Maple instead of Mahogany for its back and sides. 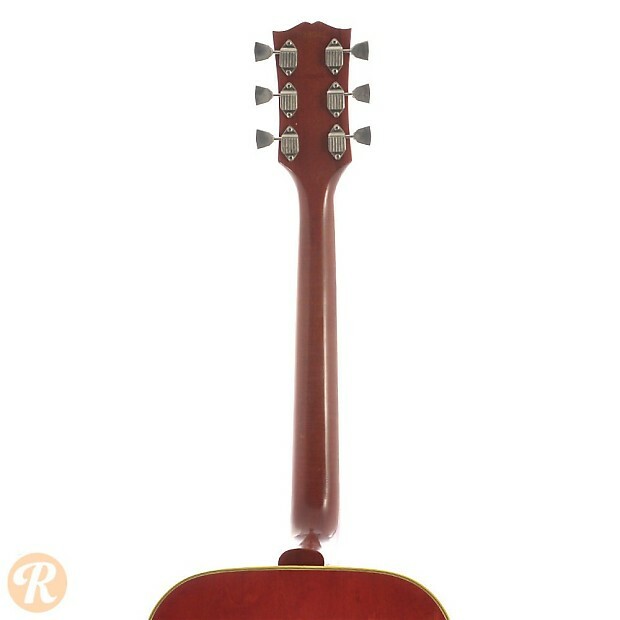 Unique to this Year: Some Doves use laminated back and sides. 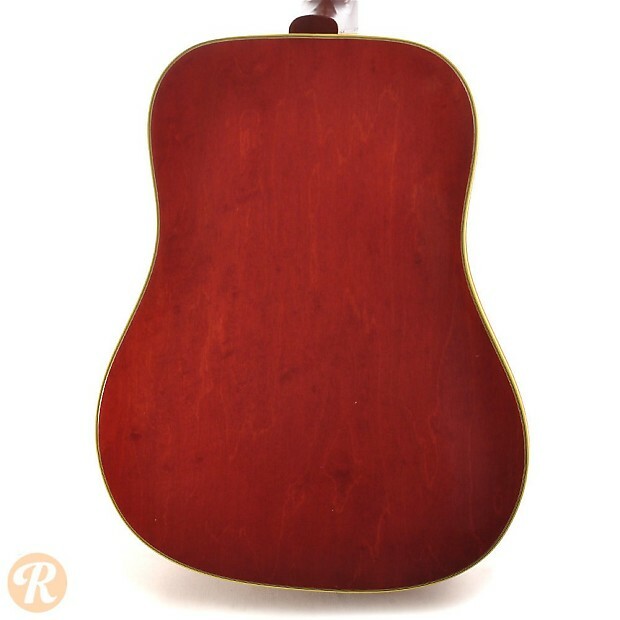 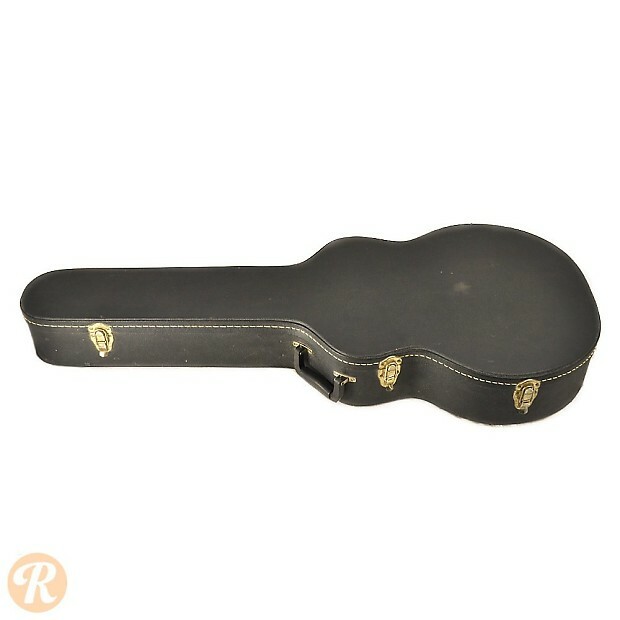 Finish Specification: The Dove was initially offered in natural or cherry sunburst.